So, I was approached to try a new to me skin care product. That, in isn't self is hardly unusual. If you follow me on Snapchat (my snap code is in my side bar or you can add me by my user name: erikatheicyone) you would have seen my reorganized skin care storage. I'm not lacking in stuffs with which to take care of my skin but I'm always happy to try something new, especially if it promises me great hydration and a softer smoother, hydrated complexion. Packaged in a black glass bottle with a pump dispenser (yessss! A pump!) 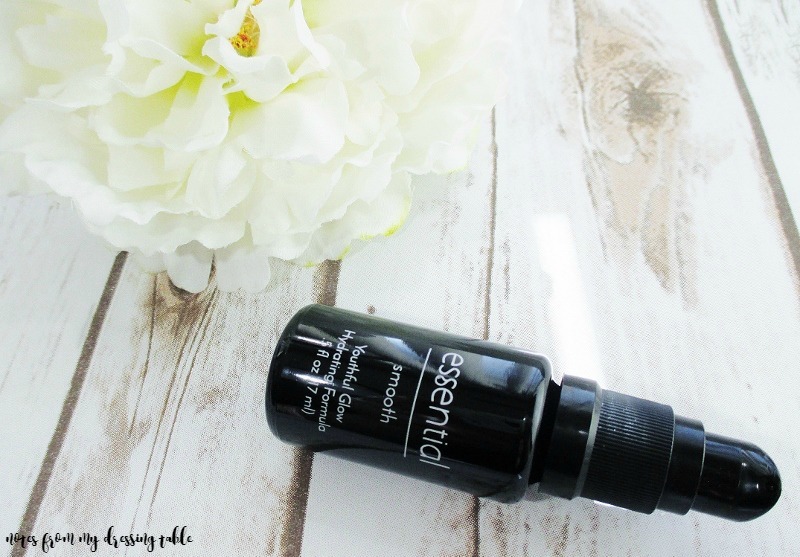 that protects the ingredients from light and air incursion, Essential Smooth is Comprised of a mix of all natural certified organic essential and carrier oils, Essential Smooth Youthful Glow Hydrating Formula claims to provide deep hydration to dry skin while reducing the appearance of aging, return a youthful glow to mature skin and reduce age spots and sun damage. Big claims for a little bottle. The thin, yellow-orange oil mix has a sharp, herbal... somewhat spicy organic scent. It isn't overly strong and, once it's worked into the skin, the scent doesn't linger long but it's there and if you are very sensitive to scent or don't like scented skin care, this may not the product for you. This formula contains essential oils, including Lavender, Rose Frankincense, Neroli and Chamomile in a Rosehip Oil base. The rich, golden-orange colour looks a bit alarming, at first and it does lightly tint (doesn't stain) the skin for a while. I like to mix this serum with a facial oil and press it into my skin, hair line to bustline and work the excess into the backs of my hands. Go nighty-night and wake to a soft. 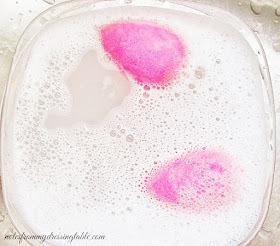 Rose petal soft face and smoother, more youthful looking hands. I can't speak to fading sun spots or age spots as I don't have either but I do think that it helps brighten. I don't use this serum under makeup, it's a night or day in treatment, for me. 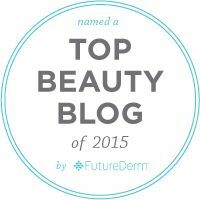 Have you tried this unusual treatment? Does it sound interesting? Hit up Amazon for your own bottle of Essential Smooth Youthful Glow Hydrating Formula and enjoy soft, smoother, just downright prettier skin. 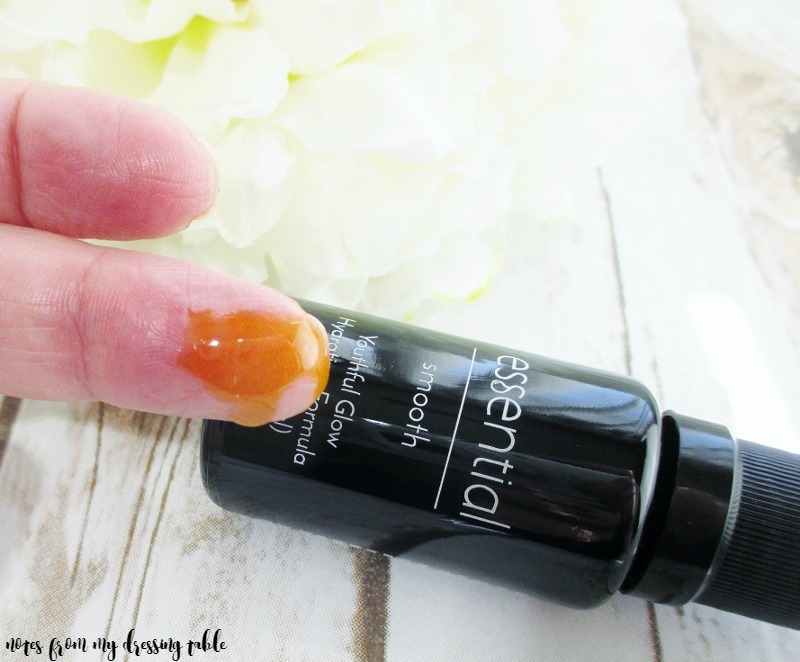 Essential Smooth is cruelty free and they use no fillers, parabens or chemicals.